The impact of our constantly visually stimulating world floats us between the dream state of our imagination and the reality of the concrete streets that cross paths. The distinction between the two is not always evident since daily consumption consists of real things, fabricated to exploit a fantasy in which our minds can lounge for a moment. Experience is a birthplace, the stem upon which many ideas develop in the core of their cocoons, until the time comes for wings of a multitude of colors to spread vibrantly through the sky. But there are so many radiant creatures that are trying to reach a level of sight, that sometimes, true treasures can go unnoticed. Fortunately, platforms have been created as spaces to promote the artistry of exquisite images, assembled together to move through fragments of pixilated frames, and constructed to offer viewers participation in the possibilities of a temporary daydream. 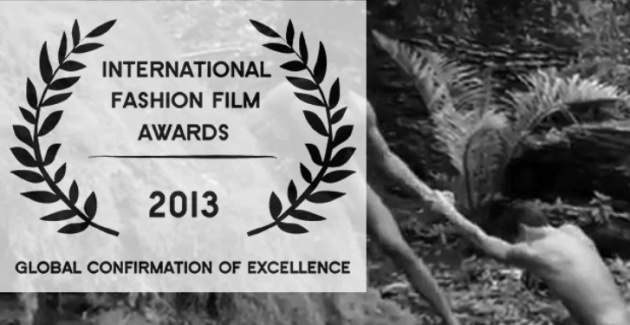 The International Fashion Film Festival is one of those organizations that has allowed for the excellence of creative productions, the acknowledgment for the influential and illustrative compositions that have decorated our fields of perception. Submissions are accumulated in various categories, further advanced among a globally dispersed panel of judges, finally leading to the announcement of awards. With mountainous material of talent, there is footage worth hours of transportation into the skilled inventiveness of many passionate creators. After a while, a tendency of repetition might start to weigh down on the eyelids, but genius will pierce through any foggy vision, leaving itself in an unforgettable realm. Damien Krisl, a fresh face as a filmmaker, originally from Switzerland, brings an explosion of force through bursting visual effects, and his attention to detail is revealed, delicately dancing across the screen like a signature’s natural flow on paper. Kirst submitted his fashion- short movie entitled, Urban Hippie, to the 2013 IFFA Festival categories including, Visual Effects, Art Direction and Cinematography. With previous works available for viewing on his Film Annex WebTV, the growth and development depicts a level of understanding that produces compelling creations, projecting viewers into a universe uniquely stylized and fashion forward. The debut of Krisl's calling lurches in commercial advertisement, with models still very attached to their generic roles. But the performance aspect exudes a language, articulated through movements that were only awaiting the right marriage to reach the intended climax. Urban Hippie speaks wonders about the human form, enveloped by light, texture and color, and the magnitude of our senses. The film starts in a dream like state, a concoction of pieced figments that are nestled in a somber cocoon, awakening through filtered doses of natural light. Overwhelmed with a wave of episodes of existence, perhaps in the beginning stages, leave us suspended in the arousal of the innocent instincts of the beast within the beauty. Every composition spins melodiously as an extension of Krisl’s verbal communication, translated through transitions of color, reminiscing Van Morrison’s tune, Dancing in the Moonlight. The wildlife awakens, close ups, but our eyes are quickly forced to shift like a snake, slithering across the hot sand, interrupting the patterns of light and shadow– nothing remains still as reality and fantasy spin in circles of the increasing darkness of our pupils. The production cultivates a playfulness of senses, sensual in nature; the bohemian trends of loosely fitted layers of summertime accompany the tune of peace and love, enlarging a galaxy of moving fantasia. 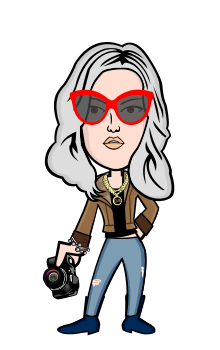 Well adapted for the modern styles of popular fashion, Kirst has paired great cinematic interpretations with the cultural elements of today’s youth. The conceptual constructs leave us sensing our bare feet running through fields of wheat, plucking away at a daisy’s foresight, while submerged in young love, both wild and free. Film has such a strong impact on how fashion transforms the appearance of our personalities. The drama of fashion is brought to life through a story told in motion, allowing one to imagine themselves as the subjects, dancing amongst the wolves, and howling at the moon that illuminates the infinite feeling of being lost in translation.